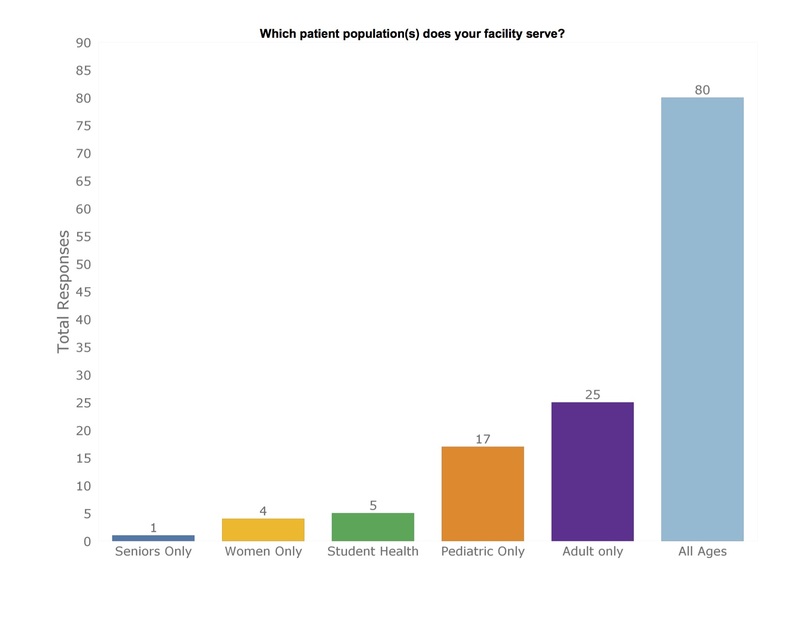 During a 6-month period in 2016, I performed an informal survey of RNs visiting teletriage.com. It required answering a 10-question survey for a chance to win a $100 Amazon gift certificate. 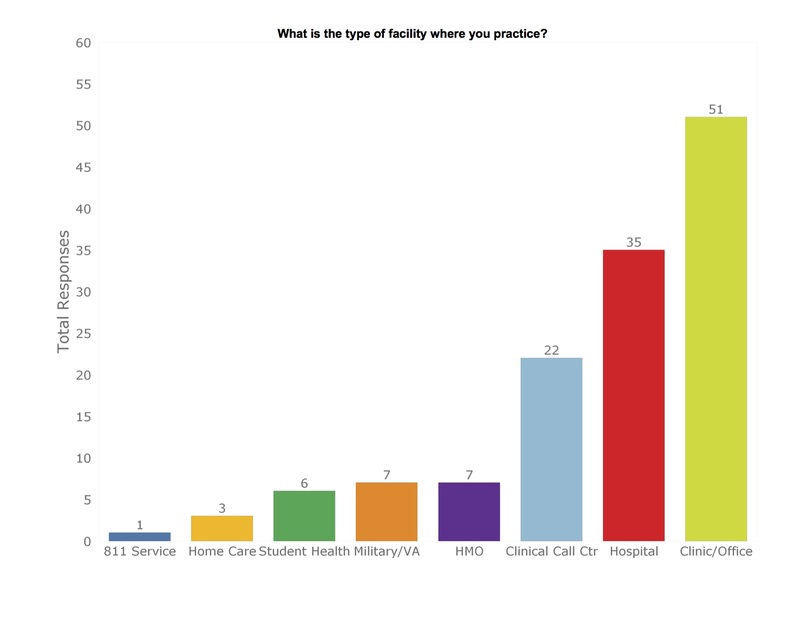 Of the 132 Total Respondents, 36 were Managers or Administrators and 96 were Staff Nurses. 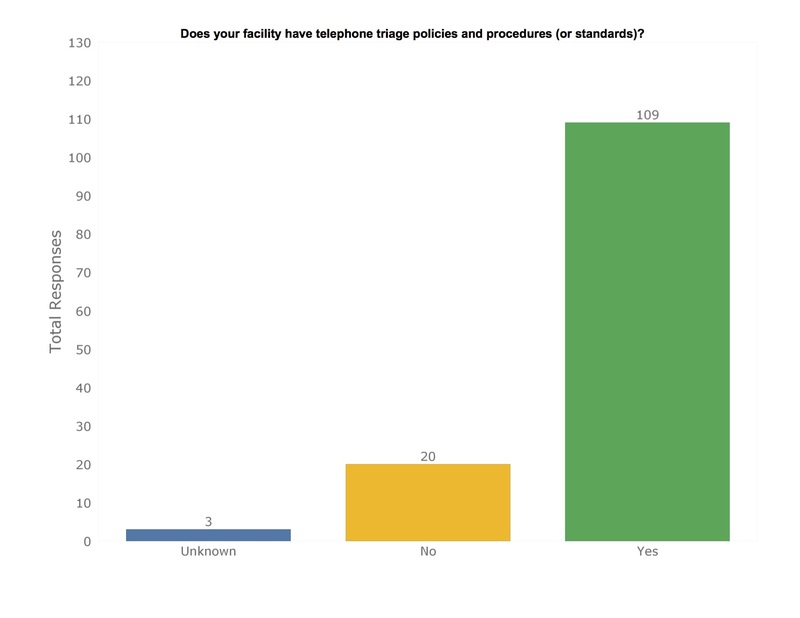 We combined their responses into nine single charts. 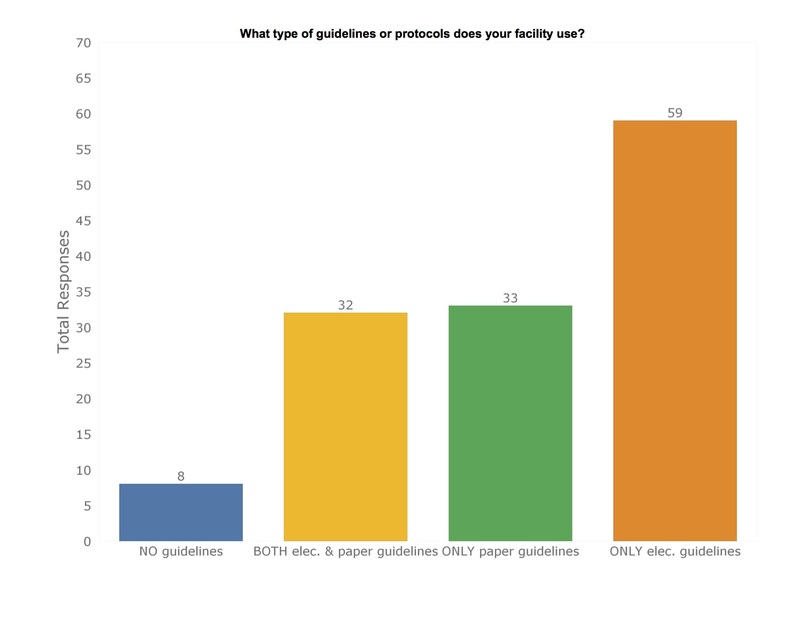 The survey explored RN’s general perceptions of the quality and safety of system components: Standards, Training, Guidelines and EMR. 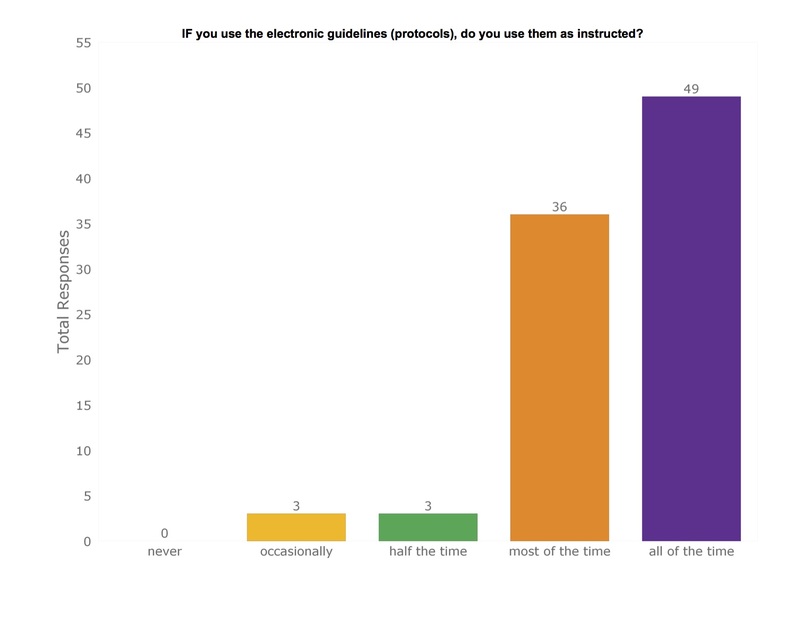 Respondents to this anonymous survey were encouraged to be candid. Except where answers were in ranked order, we organized responses in ascending order of value. Does Facility have TT Policies? Rank Quality of TT Training? What Type of TT Guidelines? Using TT Guidelines as Directed? 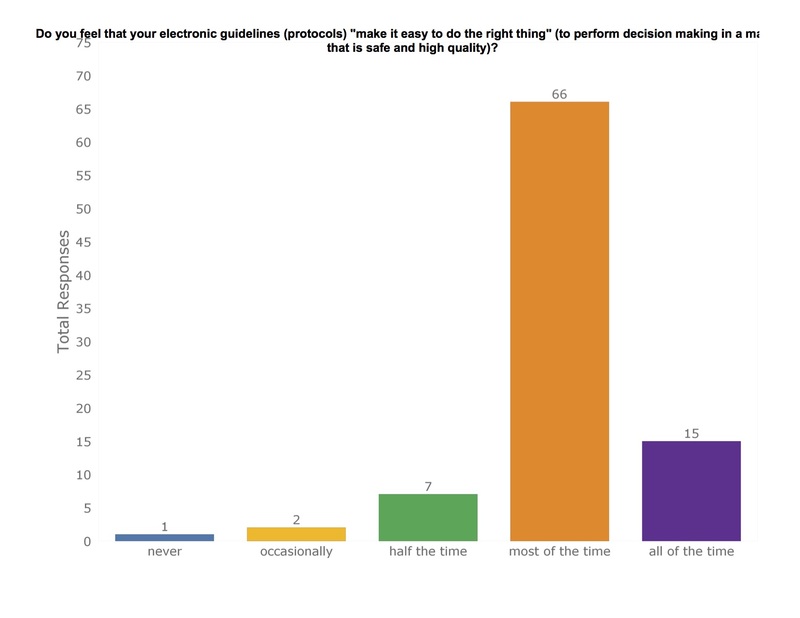 Do TT Guidelines make it “easy to do right thing”? 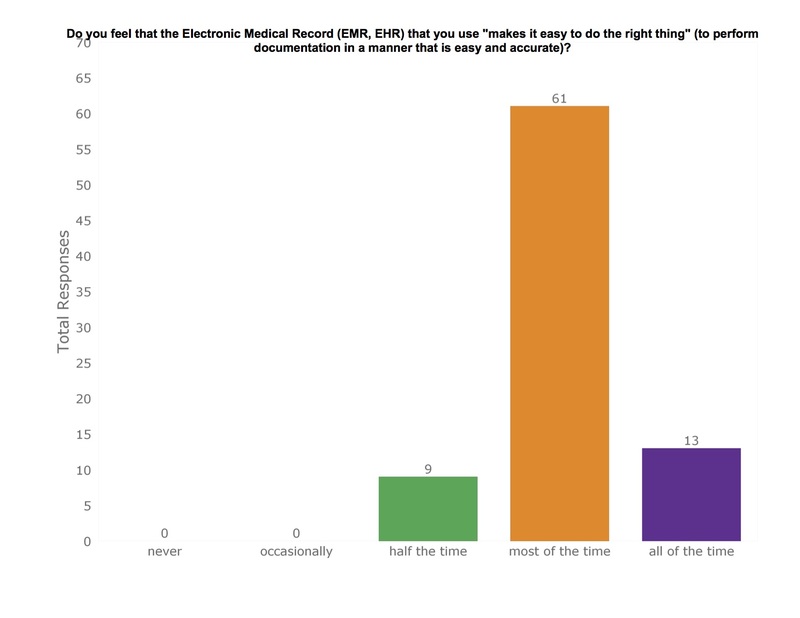 Does TT EMR make it “easy to do right thing”?